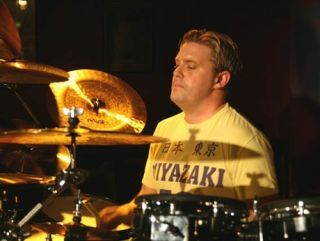 Session ace Craig Blundell has just been in touch with Rhythm HQ, and he's pointed us in the direction of some awesome new clips of his genre-defying drum clinics. The video below shows Craig in full flow at his recent Nevada Music show, fusing his undeniable chops with elements of his recent Dr oKtopUs solo record. This second clip is a different beast altogether. Here we see Craig bust out his hip-hop skills thanks to Roland's Handsonic, which he uses to full effect alongside a Loop Station and a guitar pedal. Check it out for yourself below, because it needs to be seen to be believed. Of course you can see Craig, alongside UK drumming institution Steve White, at the London Music Show this October. Check out the LMS website for more details.